It's a common refrain of visitors to Todos Santos, "This place reminds me of (fill in the blank with Hawaii or Southern California) when I was growing up." Unspoiled beaches. Roadside taco stands. Surf adventures. Horses ridden as a mode of transportation through town streets. Todos Santos is a small town with an eclectic mix of locals and foreigners, artists and surfers, farmers and fishermen, and those who live here and those who dream about it. The Palm Orchard is a beachfront neighborhood that captures this essence of Baja. Find out more. The Palm Orchard is a lush 20 acre neighborhood with 500 meters of beachfront on the Pacific Ocean. Eastern views of the Sierra de la Laguna mountains provide a backdrop for Baja sunrises. Originally developed as a palm tree nursery, the neighborhood was designed to utilize the mature palms and plants existing on site. 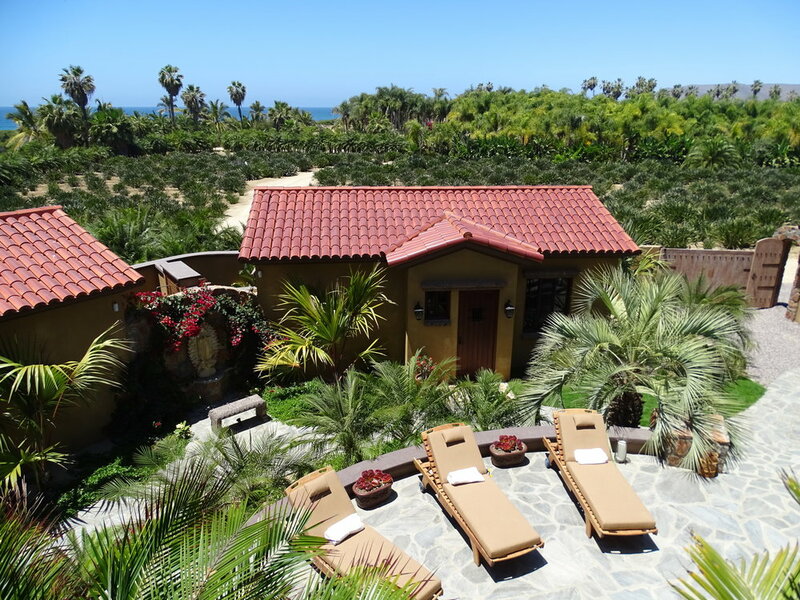 The Palm Orchard is located in Pescadero, Baja California Sur, just a few miles south from the charming Pueblo Magico of Todos Santos. Thanks to a new modern highway, the San Jose del Cabo airport is now seventy minutes from Pescadero.